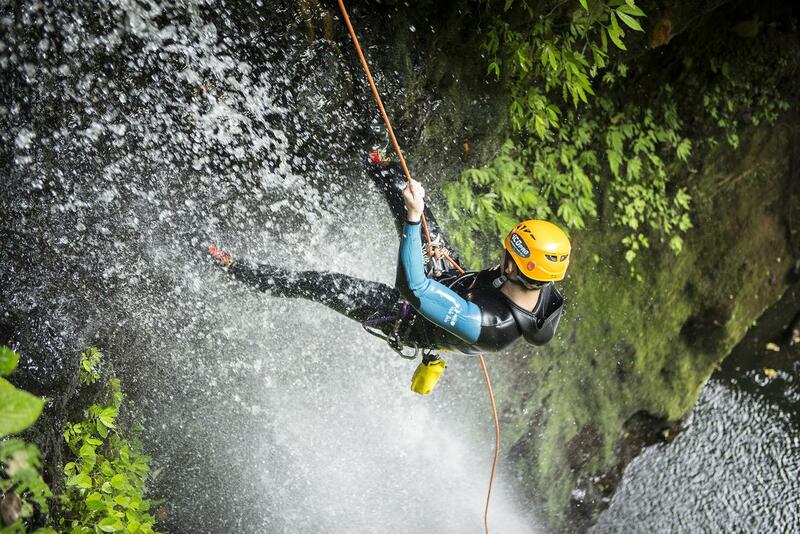 Canyoning – Wanting a day exploring the wilds of Bali? This company provides a number of different day options for different level of adventures. 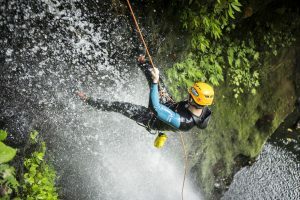 Rappeling along river beds, jumping off rocks, showering in waterfalls and get a buzz off nature with your friends whilst you have an amazing day seeing the true Bali. 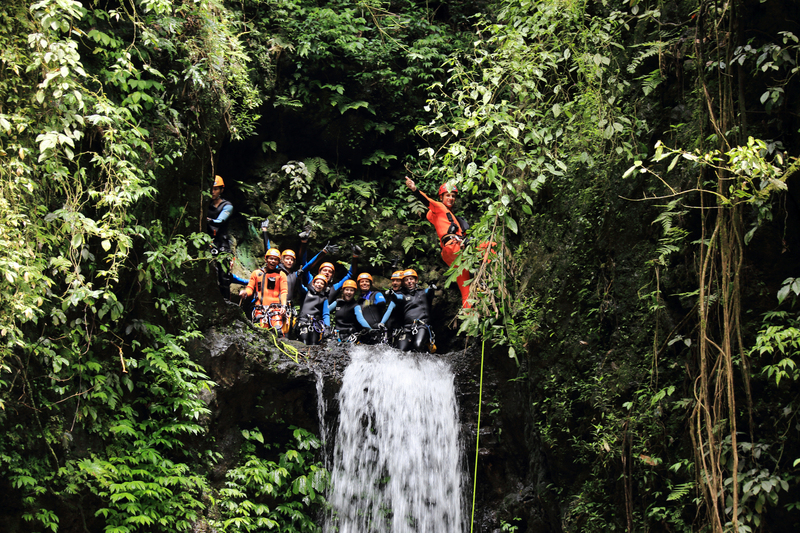 If you had to choose only one sporty canyon with water in Bali, Kerenkali would be perfect. Located to the north of Bali, Kerenkali is practicable throughout the year. It has 2 single parts: the first one is a sequence of jumps, water slides, short rappels with gorges made of volcanic rock, caves and tuff, sulphurate water basin coming out from the underground, a mix of fun and exploration for esthetic and thrills pleasure. 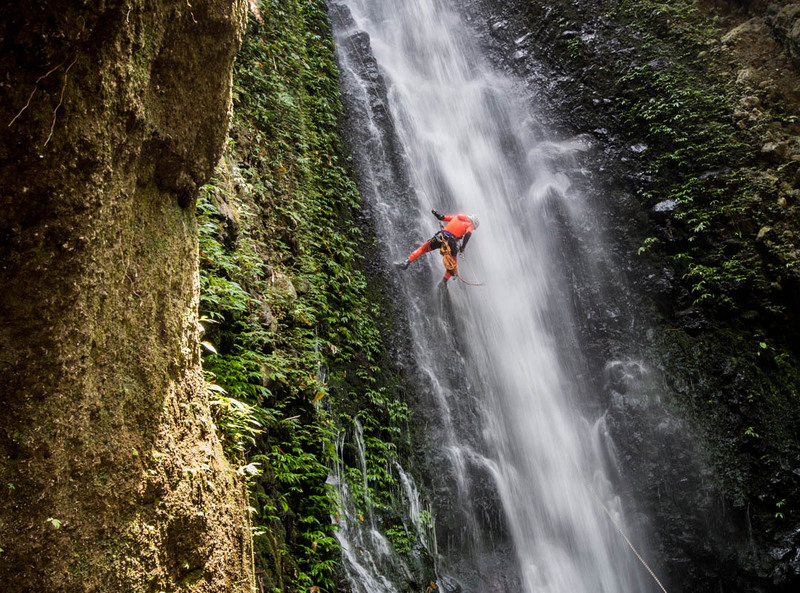 The second part, sportier, enchanting rappel descents along waterfall (the highest is 26m), swim, jumps up to 10m (optional), floating, Balinese lunch at mid-way of the canyon. Kerenkali is a good choice for the beginners, 16 years of age minimum required in good shape and for autonomous enthusiastic. Descent: +/-4h, approach and return: 10mn”s walk. 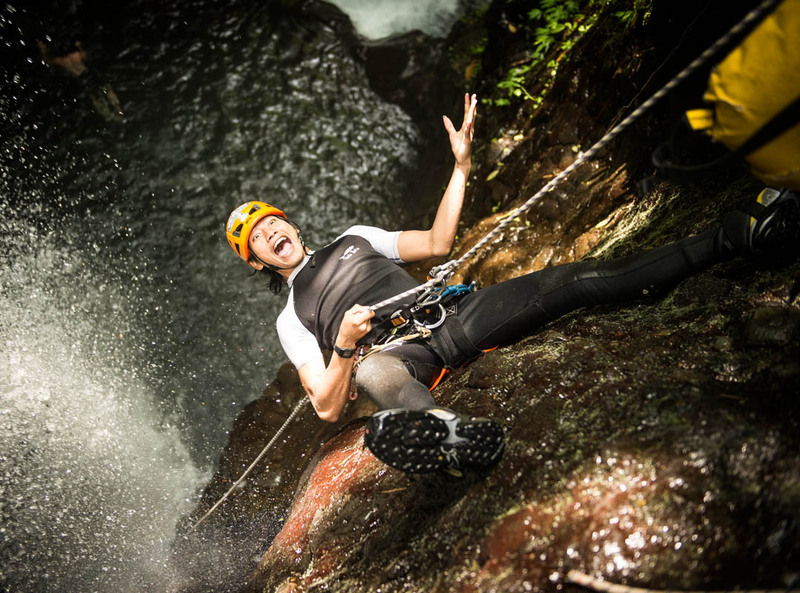 Fun – Adrenalin rush – rich in colors and magic landscapes all along your descent, even after. 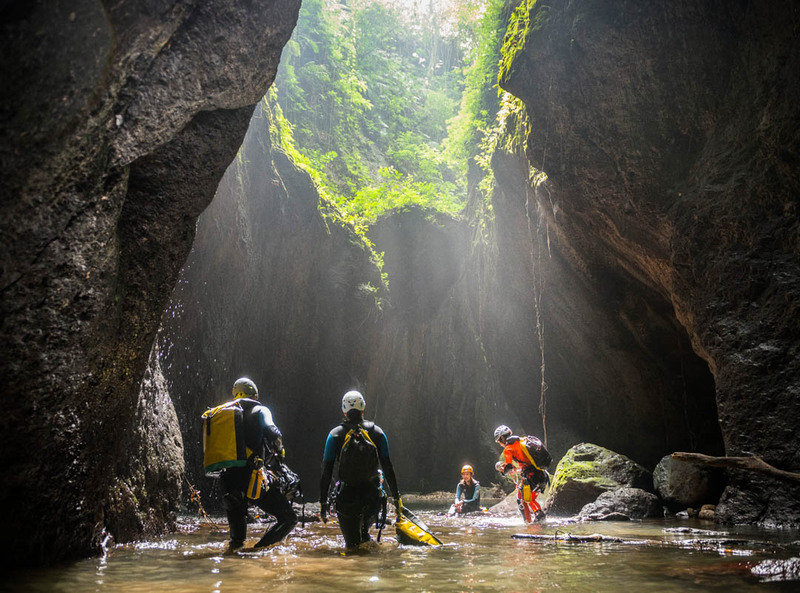 Kali Kecil canyon trip is the easiest canyon trip that we offer. It is suitable for children from 8 years old, families wanting to discover the activity in a short time, and group of team building, who want to spend an unforgettable moment in an inaccessible location which is rich in color. 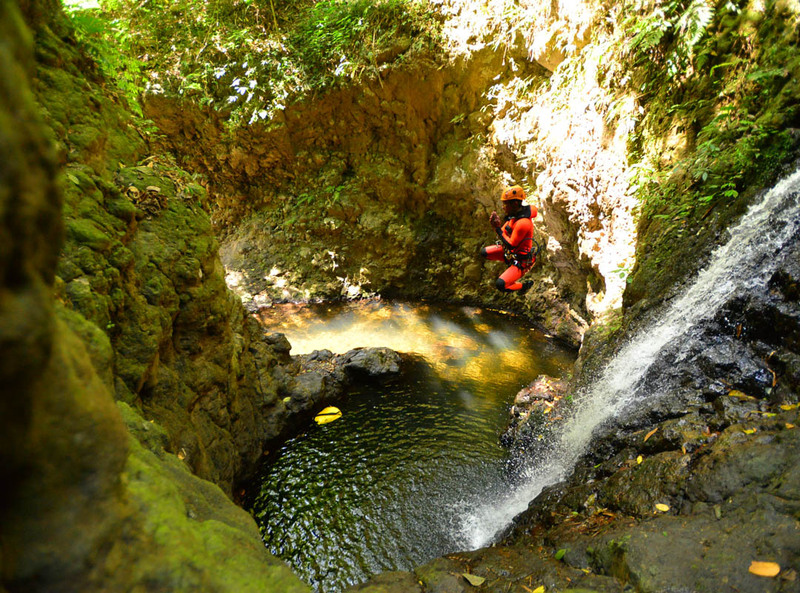 Kali Kecil is a fun trip and offers everything that canyon activity can offer: sliding, abseiling, jumping, swimming, gorges exploring, zip line (flying fox) etc. You still hesitate? You will want more. 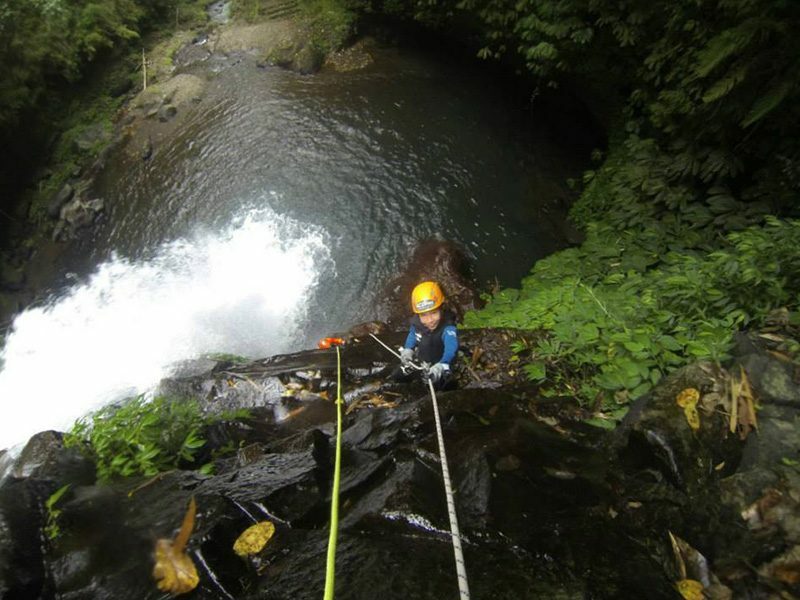 Tamata has mainly vertical descents, located near Kintamani, practicable throughout the year. 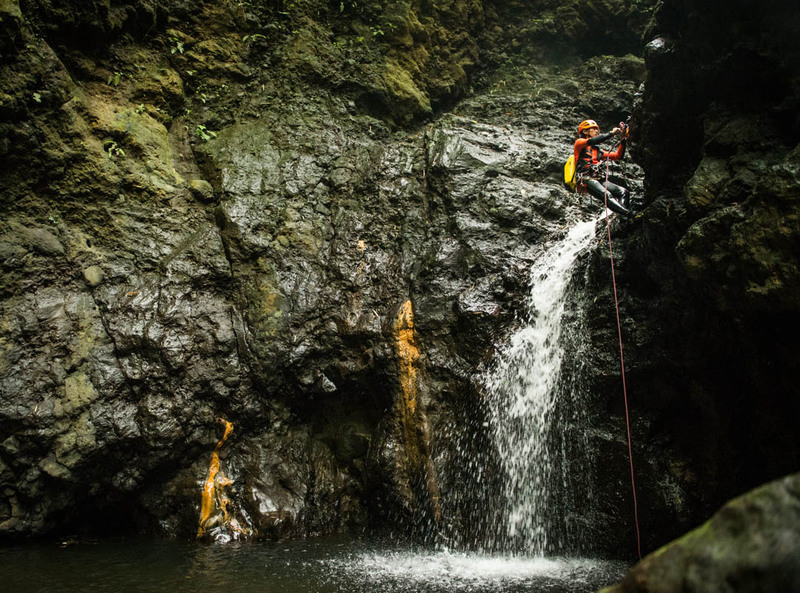 After a descent of 45 minutes within a luxuriant jungle with several rappels, it is a sequence of several rappels along waterfalls (23m max) at one goes that will take you to Tamata gorge. High gorge of more than 70m, moss, tuff, sporty, unique and fantastic exploration. 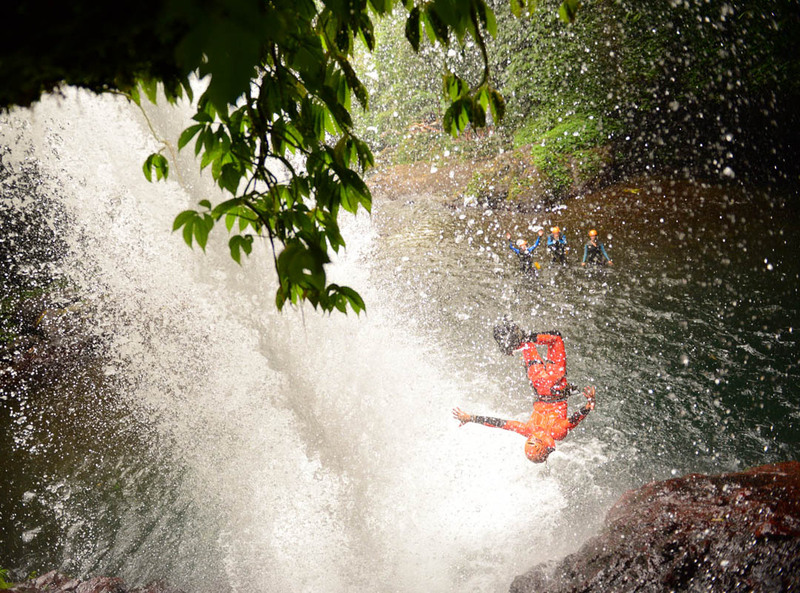 After a local meal, a jump at mid-way of the canyon – optional. Tour for autonomous participants and beginners of 18 years of age minimum in good shape. Descent: 4/5h, approach: 45 minute walk, return: 30mn”s walk by << Ojek Bali >> (small local motorbikes), you will enjoy splendid places in Bali. This tour is also an opportunity to discover Bali”s original, beautiful views of rice-fields when returning by Ojek to local village, but also discovery of LUWAK coffee making (non-commercial place) (the most expensive and rarest coffee in the world). Tamata is more than a simple descent; it is an authentic trip in the bowels of Bali, the discovery of a wild and exceptional place where simplicity equals beauty. 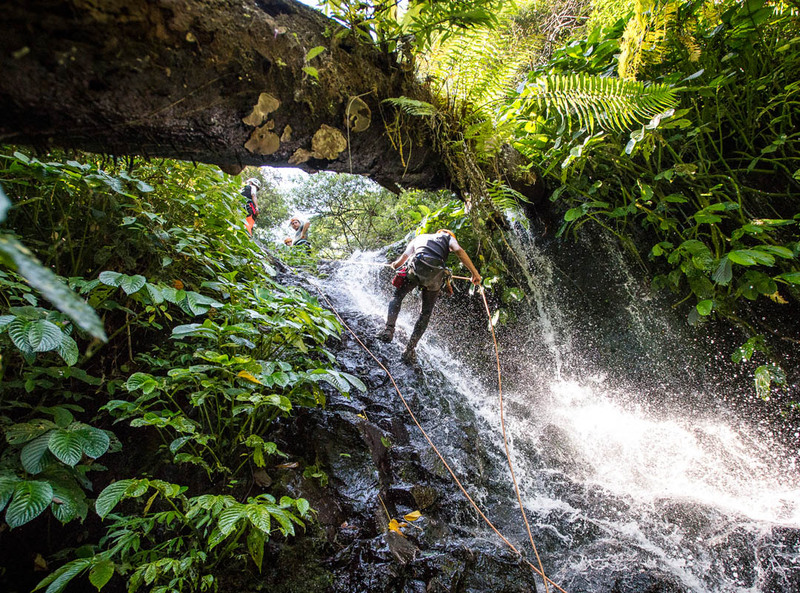 A demanding descent, Anahata has it all: chalanging rappels, exciting jumps and slides, trekking among pristine scenery in the heart of Bali. 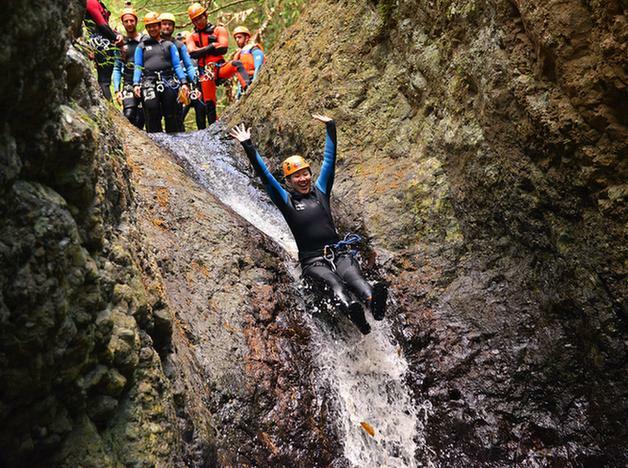 You will feel like a real canyoneer and have a taste of what our world is about. The ability to swim is compulsory and a good level of fitness is desired. Just imagine heaven on earth… So close to Bali rice fields and so far away from modern life once you get into it. 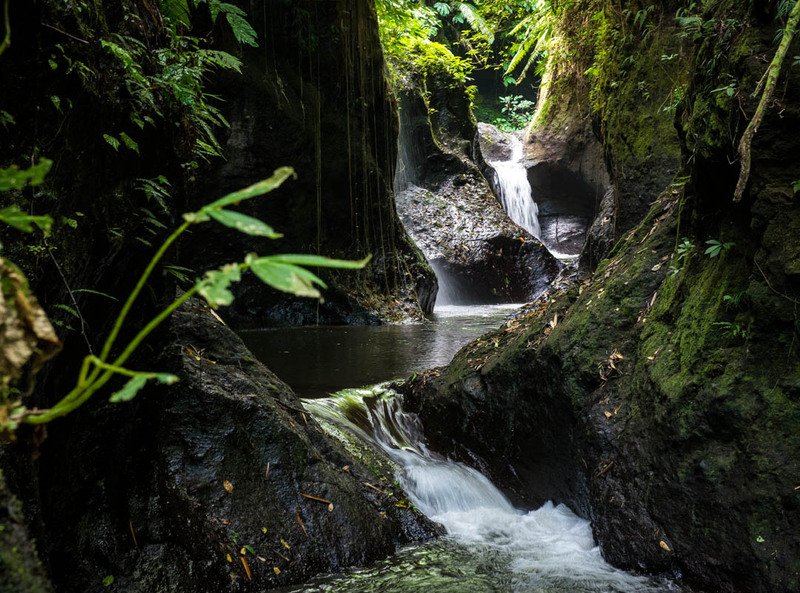 The 4th section of ALING GORGES, called PALM is a marvel of Balinese nature that even words or images are not enough to describe the magic and incredible atmosphere all along the descent. 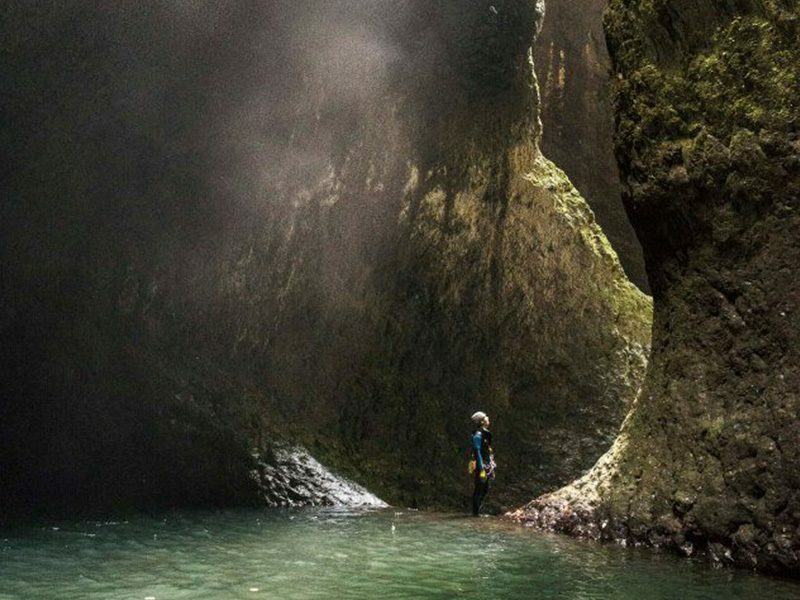 It”s a canyon with water, lots of swimming, straight volcanic gorges all along the descent and bats waiting your visit to fly between the gorges. 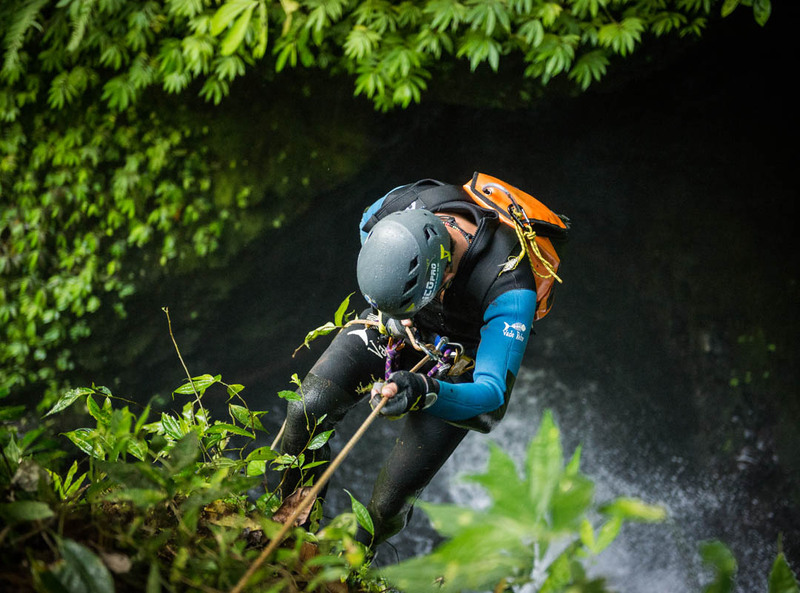 Lots of jumps, wonderful rappels, the height of the last one is 40m, natural pools of crystalline water in a wild and unique environment. 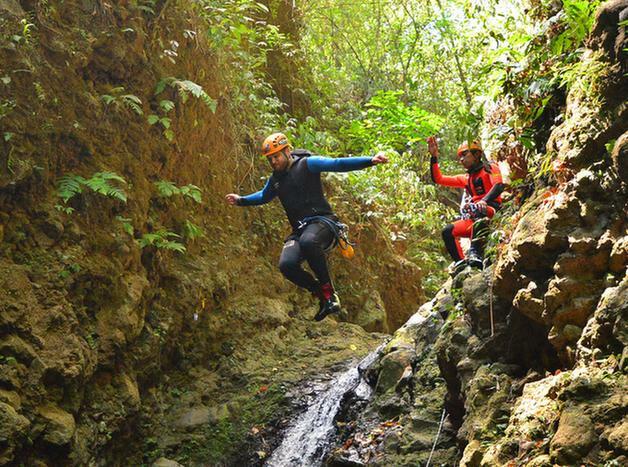 ALING GORGE is a sporty descent, halfway between exploration, adventure and fun trip. Practicable few month a year (depending the raining season) for all beginners of 18 years of age minimum in excellent shape.or autonomous Canyoneer. Without having difficulties, the 4th section is rather exposed. One escape route is available after 1h15mns of descent for a total duration of 4h30-6h (depending on the group”s level). No walk for the approach, and 15mns of intensive walk for the return. Snack and break with hot tea in the canyon and meal in a local restaurant at arrival. This day will be rich in adrenalin, emotions, beautiful landscapes and sporty spirituality. 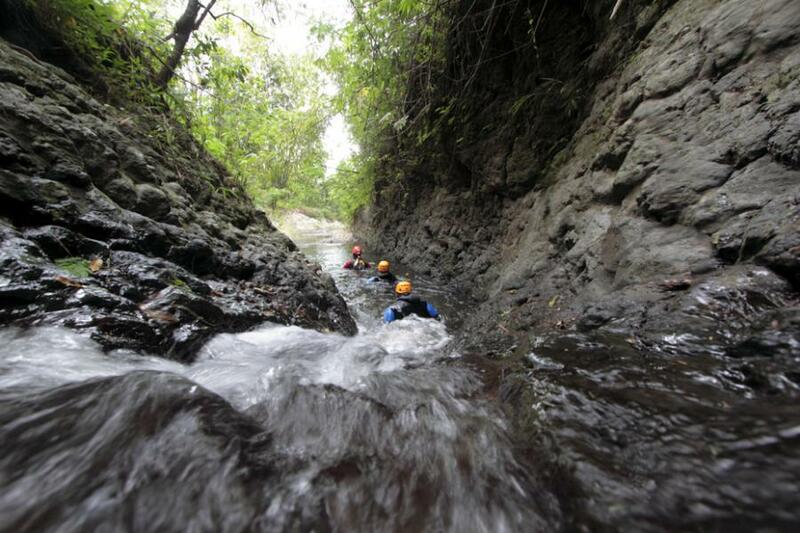 ALING GORGES, PALM section that has been discovered by the team is a must-see for all canyoning enthusiastic. Team recommendation: sleeping at a guest house in Gitgit the day before the Trip is the best option to avoid to wake up very early in the morning. Forget with all you thingking about. This Canyon is The Legendary Descent in Bali. It is not a trip like other one. You will be a part of the team for a REAL EXPEDITION where drilling and new Bolting will be necessary. Half day training and preparation, 1 overnight in mountain, an early 1h of pure jungle trekking to reach the canyon. Then NO ESCAPE WAY during 9 to 10 hours. 25 rappels up to 30 m. Just be ready! 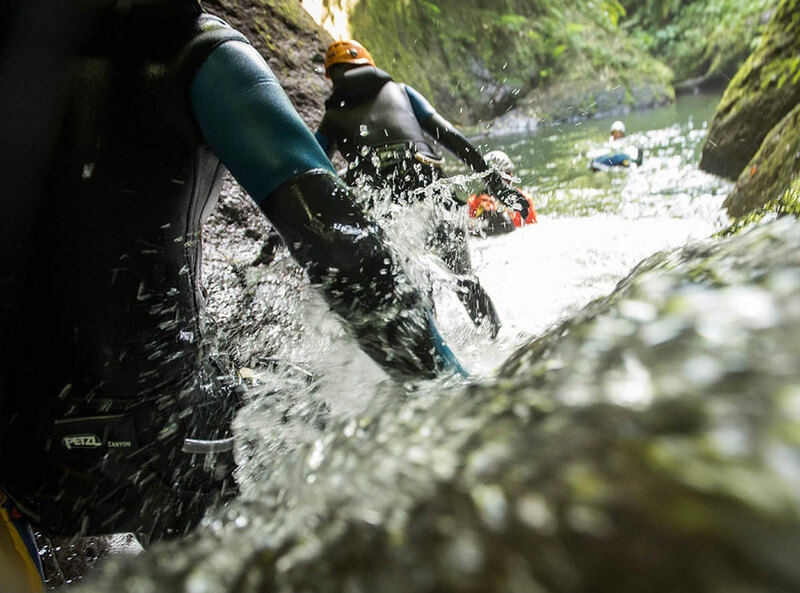 All instructors & assistance are qualified from International Canyoning Organization for Professionals, All canyons are totally fully explored, bolting and maintenance by our self, and All the equipments are daily subject to PPE control. Air conditioning Hotel transfers everywhere in Bali, ICOPro Qualified instructors & assistance for each trip, ICoPro Canyoneer Initiation Training courses & card, Wet suit- sock- gloves- canyon helmets- harness- technical canyoning shoes, Light breakfast – snack – water – tea – coffee – lunch, Professional insurance, Free photos and / or Video Shooting, CE standard PRE equipment only.